These beautiful purple petals grow 5" - 8" in size with bright white eyes. They will emerge just when the flowers in many borders, cottage gardens and cutting gardens are fading, giving you color from mid to late summer. 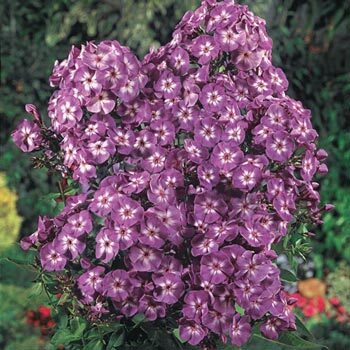 Tall phlox grow up to 40" and are packed with fragrant blooms. Germination Plant firmly, set the buds 1" - 2" below soil level. If potted, set at same level it is in the container. Firm soil and water thoroughly. Foliage Type: 2" - 5" long, lanceolate, dark green. Flower Form: Individual, flared trumpet-shaped flowers form dense pyramidal panicles ranging from 5" - 8" in size. 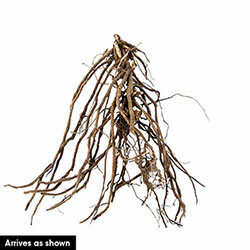 Planting Instructions: Set the buds 1" - 2" below soil level. If potted, set at same level it is in the container. Firm soil and water thoroughly. 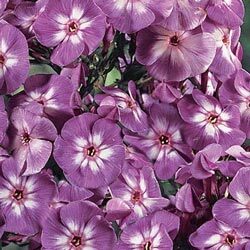 Select a sunny airy site will good air circulation as phlox are susceptible to mildew. Winter Care: None special, except to mulch the first winter if fall planted. Remove early in the spring before growth starts. 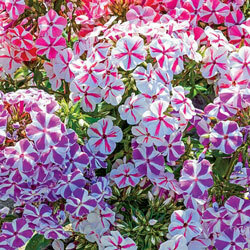 Additional Information: Water early in the day if necessary to control mildew, which can be a problem with tall phlox. Most varieties benefit from being divided every 3 - 4 years or when their flower production drops.